I remember watching lots of the 007 movies as a child with my dad and grandfather. I always found them filled with lots of action and with a side of romance. 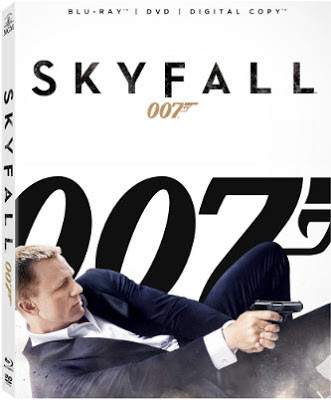 This latest edition, Skyfall, was no different. I think I was more excited to see this movie because I heard so many great reviews about it from friends and family members., not to mention the theme song is just beautifully done by Miss Adele. Watching this movie on blu-ray was a treat. We rarely watch action movies (big on comedy here) and with this being a 007 movie we wanted to watch it right. So we turned on our surround sound and it was literally like we were watching this movie in the theater. Loads of jammed pack action, a great story line like all the previous Bond movies and every part had me trying to guess what was happening and why, lol. Definitely one that needs to be in your collection if you're a Bond fan. If you haven't watched the movie yet check out the trailer below, that's just a small amount of the action you'll see in this movie. Disclosure: All opinions are my own. I received SkyFall on blu-ray/dvd combo at no cost for the purpose of sharing this review. No other compensation was received.